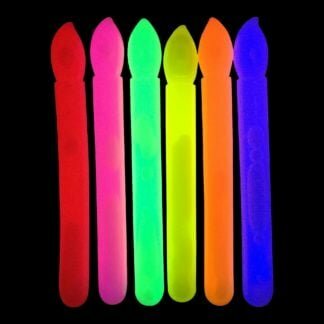 The industry standard in glow sticks! 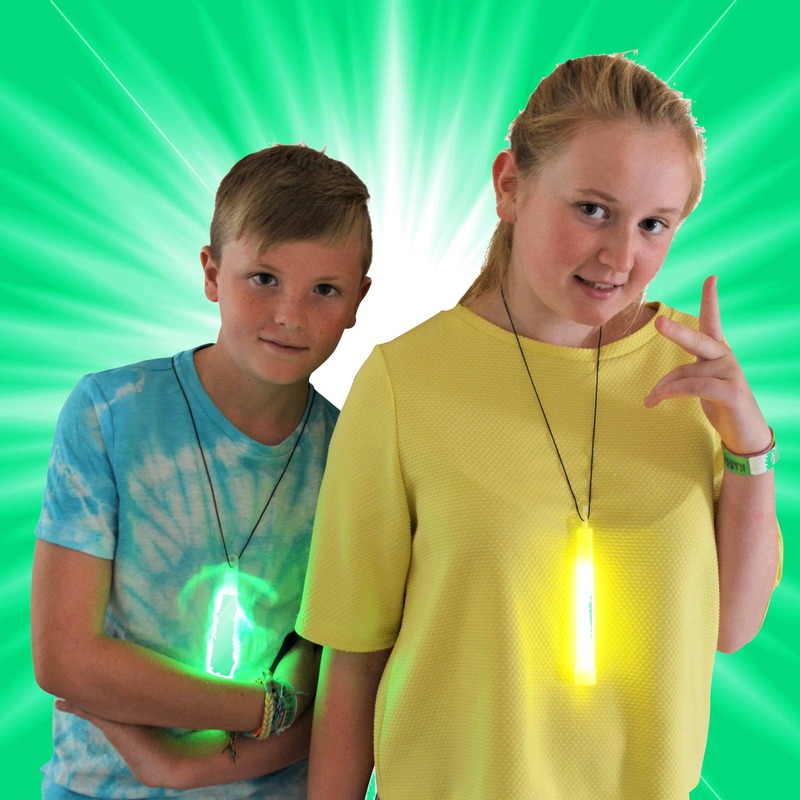 Each stick is 6″ long, 1.5cm thick and supplied a lanyard – provides an ultra bright glow perfect for all occasions! Available indvidually wrapped or bulk packaged (bags of 25). Want a custom pack size or to choose a mix of colours? Click here for custom quantities and colours for sticks in bags of 25. Click here for custom quantities and colours for individually wrapped sticks. 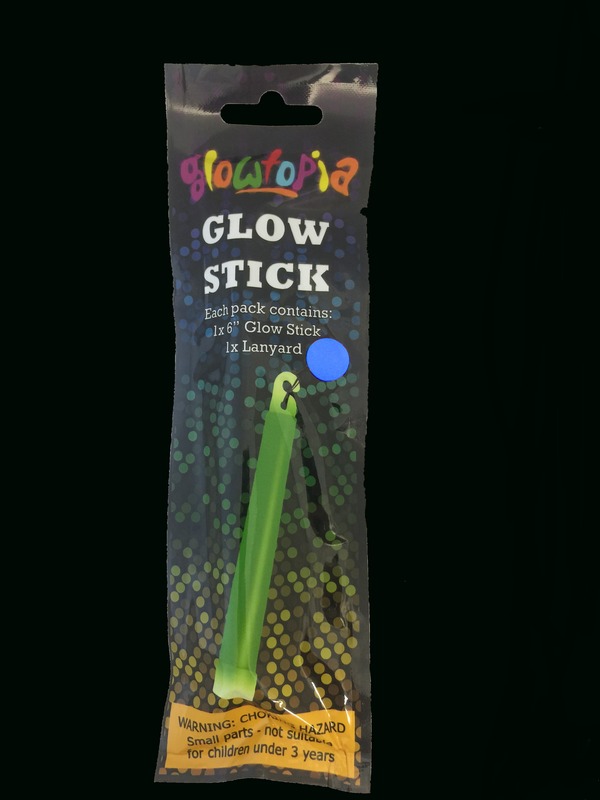 The ‘classic’ glow stick. Our 6″ premium Glow Sticks are 1.5 cm thick and provide an ultra-bright, long lasting glow. Available either individually wrapped or bulk packaged in bags of 25, all are provided with a lanyard so they can be hung or tied around the neck. 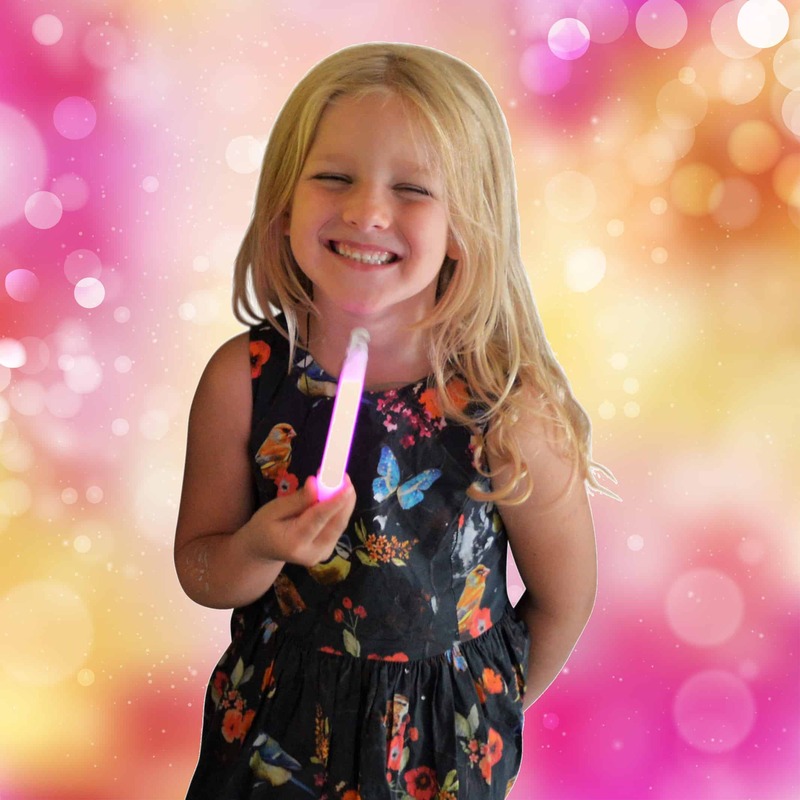 These glow sticks are also perfect for re-sale at events, with individual re-sale prices varying from £1 right up to £4 at bigger events! Choose from a range of colours including blue, green, orange, pink, yellow, red, purple, white or select mixed for a mix of all eight colours. 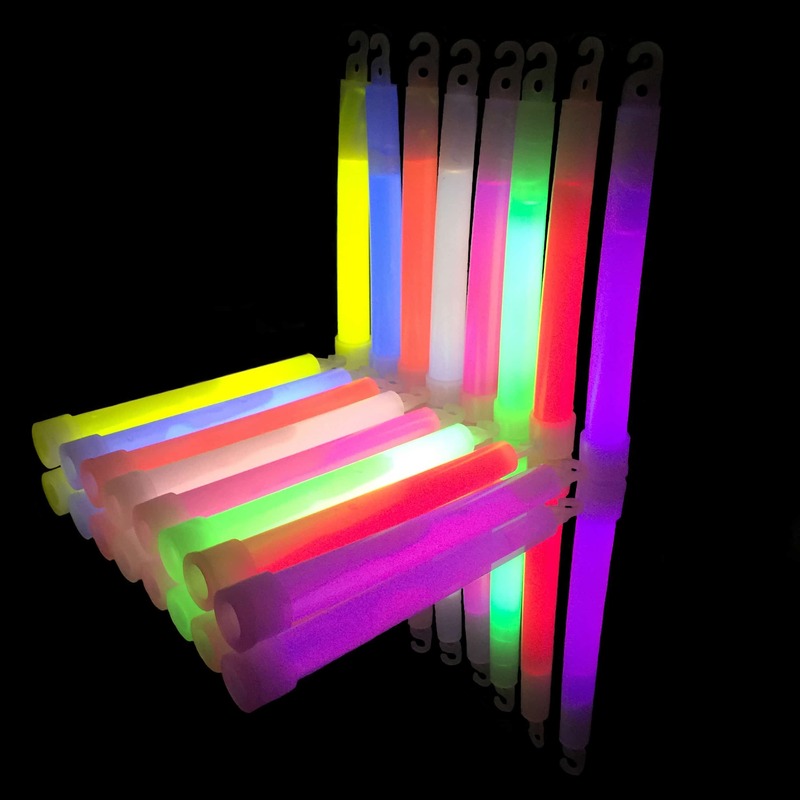 Did you know light sticks were originally developed for military use? 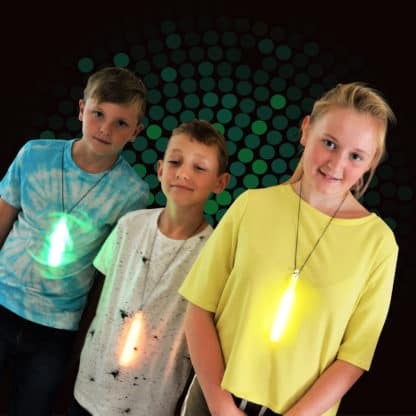 Their range of use has now extended far past their original intention and are popular for parties, festivals, night time events, making paths in the dark, search and rescue, diving, fishing, emergency packs, map reading and much more! 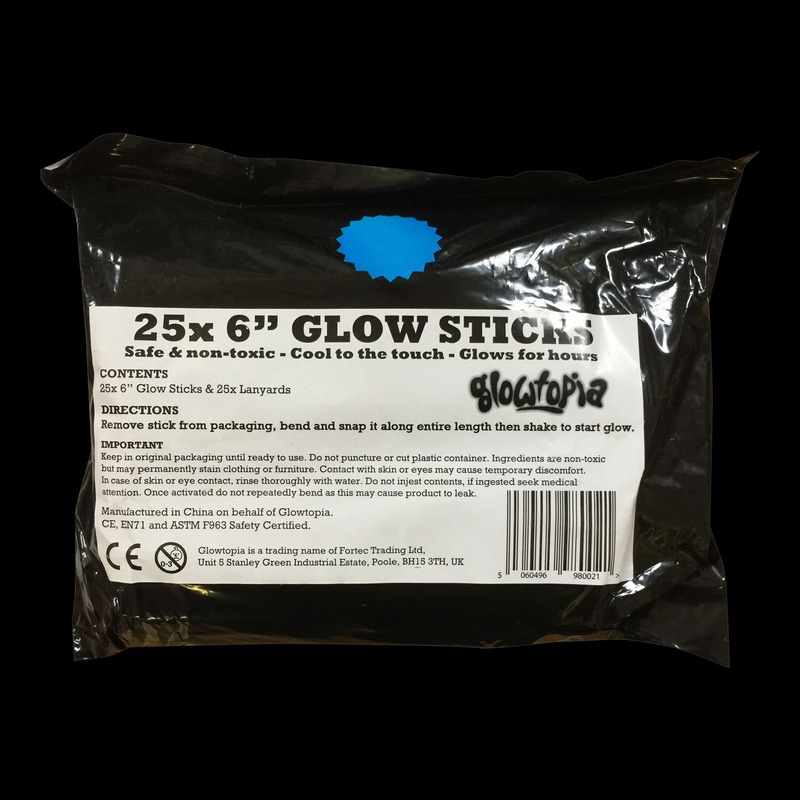 Our premium 6″ 15mm Glow Sticks are available either individually wrapped or bulk packaged in bags of 25. 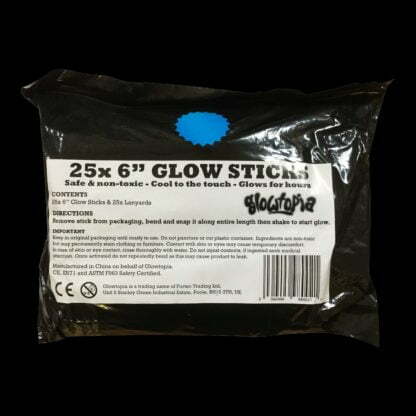 Individually wrapped sticks have a hanging tag and are generally preferred for those wishing to re-sell individual sticks, where as bulk packaging sticks are preferred when using a large number of sticks at the same time and to save on packaging waste. Bulk packaging sticks also work out cheaper than their individually wrapped counterparts. We can provide logo printing on our 6″ Glow Sticks. They can be a great way to raise awareness of your brand, business, organisation or campaign. Click here for more information. Not suitable for children under three years due to small parts. Conforms to ASTM F963, EN71 (1,2,3,6) and carry the CE mark. Far better than the usual glow sticks / bracelets. These are the ones you want! They did the job that I had in mind – providing a path across moorland to a Queen’s 90th birthday beacon. Compared with others I have used, they seemed slow to reach full brightness – 10 minutes or more, but lasted at least 4 hours in cold conditions. I’ve also had brighter glow sticks, but these were significantly cheaper. Fine for general use, but if you need rapid onset and brightness, go for the military grade versions. As described no problems with the product. The girls loved them. Perfect for what we needed them for – night swimming! These are not the glow sticks with the loops on the end for hanging which is exactly what I wanted! They’re about a centimetre thick. I lit one this morning and it is still glowing 12 hours later. Great product! 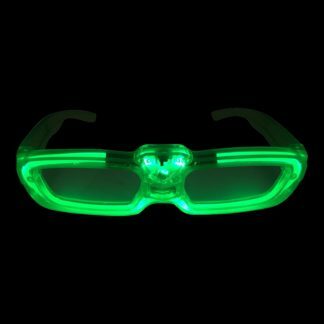 They glow bright green and that’s all that matters to me. They last a while too. The attachments and ribbons that come with can be pretty useful as well. Great for kids party. They glow for hours. Much brighter than expected & long lasting, too – that & getting the one colour made spotting our group in the dark of the Roller Disco a doddle! Gr8 VFM! Just what you need for a simple solution for a bit of light in the tent. 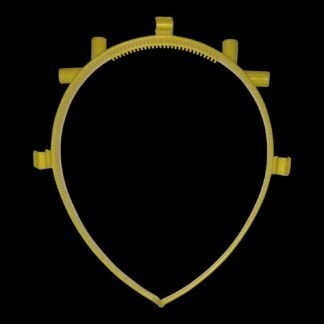 Great item, work well and last quite a long time. were great for bonfire night. I have saved / stored the rest in a power cut box I have been making. Sure they will be well used by my children.